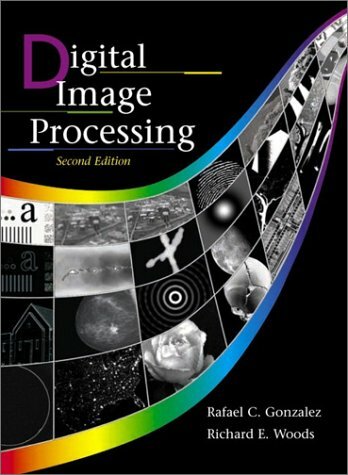 [PDF] Digital Image Processing (2nd Edition) | Free eBooks Download - EBOOKEE! Description: Third generation book that builds on two highly successful earlier editions and the author's twenty years of academic and industrial experience in image processing. Reflects new trends document image compression and data compression standards. Digital Image Processing has been the leading textbook in its field for more than 20 years. As was the case with the 1977 and 1987 editions by Gonzalez and Wintz, and the 1992 edition by Gonzalez and Woods, the present edition was prepared with students and instructors in mind. 771e material is timely, highly readable, and illustrated with numerous examples of practical significance. All mainstream areas of image processing are covered, including a totally revised introduction and discussion of image fundamentals, image enhancement in the spatial and frequency domains, restoration, color image processing, wavelets, image compression, morphology, segmentation, and image description. Coverage concludes with a discussion of the fundamentals of object recognition. No comments for "[PDF] Digital Image Processing (2nd Edition)".